Salvia is the genus name for a group of more than 1,000 plants that grow all over the world. Salvia, also known as sage, comes in a wide variety of colors and growth patterns. It is a good nectar plant for hummingbirds, butterflies and bees, and birds eat the seeds of some species. Some varieties, such as culinary sage, are edible to humans as well. Each species may have slightly different requirements, but basic good care will go a long way to keeping your salvia healthy and beautiful. 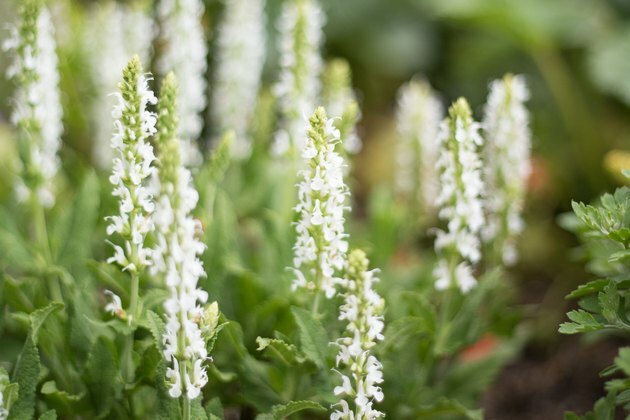 Choose the salvia that's right for your zone. Many species of salvia are native to desert regions and won't thrive in a colder clime. Other species are more cold-tolerant, but may wilt in a hot, arid climate. Some salvias that are hardy perennials in warmer climates may be grown as annuals in colder regions, or grown in pots and overwintered indoors. Talk to the staff at your local nursery or garden center to find a salvia that's right for your garden. Find a good spot in your garden. Most salvia like lots of sun, although a few species tolerate very light shade. All salvia need loose soil and excellent drainage. 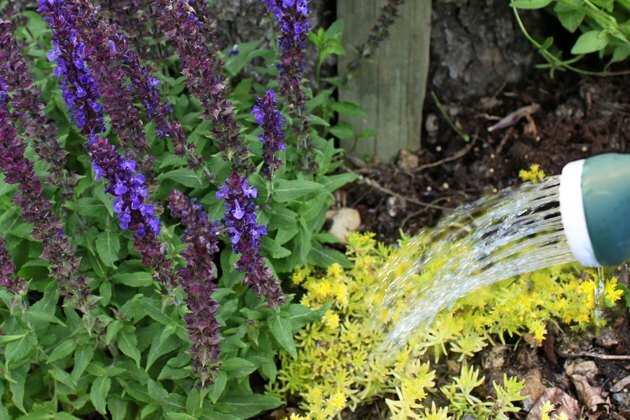 If your garden does not have adequate drainage, mix stones, gravel or lava rock into the bottom of the hole when you plant your salvia. Plant salvia in the spring. 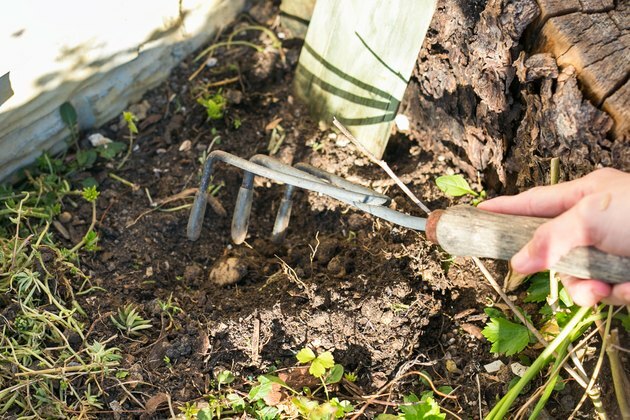 Prepare the garden bed by loosening the soil with a metal garden rake and remove any weeds. Using a trowel, dig a hole as deep and twice as wide as the pot the salvia transplant is in. 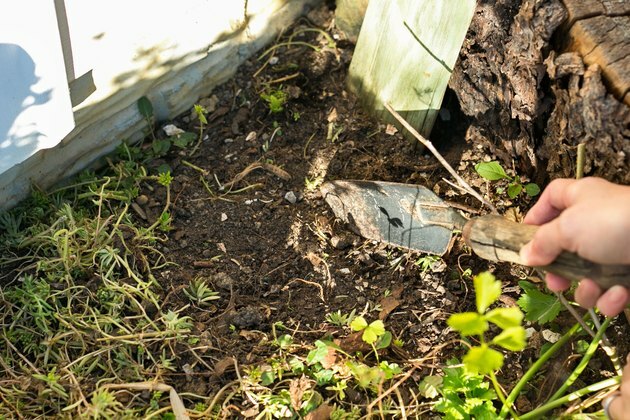 Loosen the roots of the salvia, spread them out in the hole, and backfill with soil mixed with compost. You may also start salvia from seed. Sow them indoors 10 to 12 weeks before the last frost. Bury the seeds under 1/8 inches of soil, or lay them directly on top of the soil, and keep the soil moist. Salvia seeds germinate in two to three weeks. Water salvia regularly for the first few weeks after planting outside. However, salvia is very drought-tolerant. Once it is established, water only when the plant looks wilted. Cut back perennial salvia in the late fall after the blooms fade. This allows the plant to put its energy into building up a strong root system. 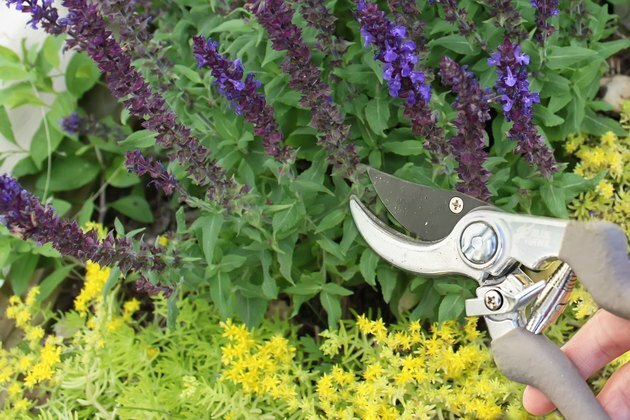 If you are growing a type of salvia on the edge of its hardiness zone, however, it may be beneficial to not cut the plant back in the fall. 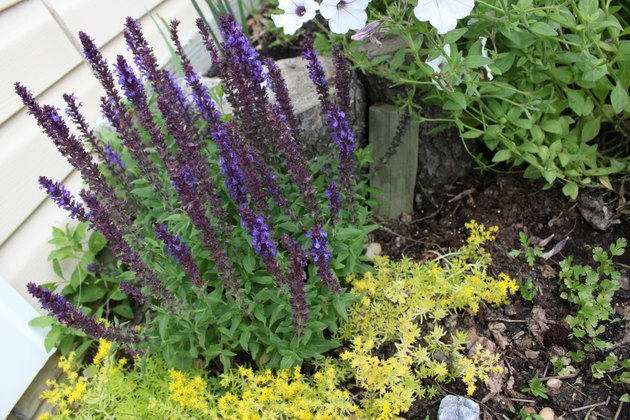 In cooler climates, mulch your salvia over the winter to help protect it. 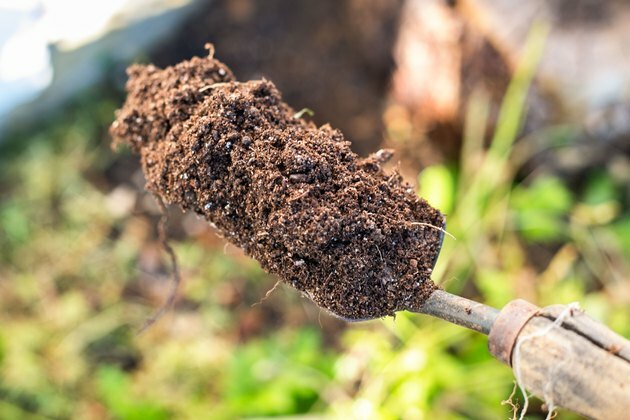 Apply a layer of compost every spring to provide a boost of nutrition.